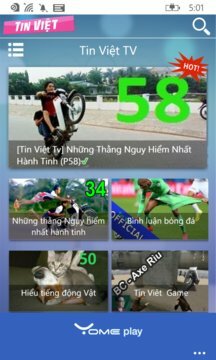 Tin Việt TV - the best app view Youtube, TV online, download on Windowphone. 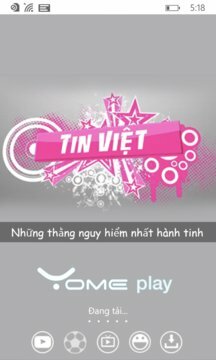 Great app with multiple categories : Music, Funny, Film, Tin Việt TV, TV online..
- View Youtube, search and share this on Facebook. - View TV online with many chanel hot in VN and international. - Download video with high speed ( HD, SD).